They were trying. Make no mistake, they were trying. As nominal frontman Posdnuos kept reminding the rabid crowd at the Halifax Jazz Festival tent last night, he and DJ Maseo were doing their level best to carry the De La Soul banner with the third member of the legendary Long Island crew unable to perform due to a leg injury. But as they said way back on their 1989 debut album 3 Feet High and Rising three is The Magic Number for De La Soul. And with MC Dave's absence leaving the group one Plug short, their headlining show wasn't quite the magical event that many in attendance were hoping for. Let's be clear, though: two-thirds of De La Soul is still a hell of a lot better than 100 per cent of most acts. Pos and Mase banged their way through a career-spanning set, from 3 Feet High's "Me, Myself and I" to the title track from 2004's The Grind Date. All of it was eagerly lapped up by Hali heads, who enthusiastically chanted choruses and played along with the obligatory - and, it says here, somewhat tedious - hip hop call-and-response games (has any MC ever judged any crowd to be "loud enough" on their first try?). 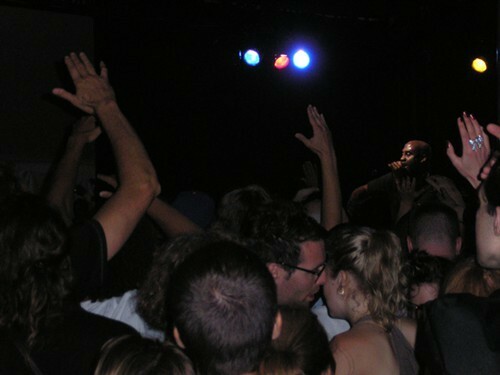 When Pos and Mase ripped through a terrifically tight version of "A Rollerskating Jam Called 'Saturdays'", audience and artist hit their synergistic peak. But De La didn't quite sustain that level of connection throughout their short set. Though Maseo seemed to be enjoying himself immensely, hurling playful jibes at the audience and his bandmate and filling in ably on the mic, Posdnuous seemed a little out of sorts without Dave by his side. In De La Soul, Halifax was treated to one of hip hop's best. But we didn't see the best of De La Soul. 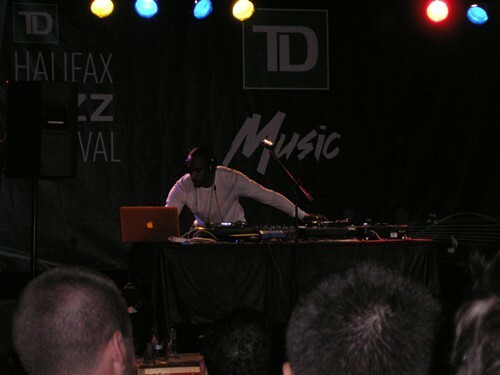 Fortunately, what we did see was a blistering DJ set by Ali Shaheed Muhammad, formerly of A Tribe Called Quest. Tasked with hyping the crowd up for his old Native Tongue pals in De La Soul, Muhammad did the job perhaps a little too well, igniting a tent-wide dance party with a mix of old-school hip hop classics and slinky soul jams. With the crowd in a frenzy, he even felt confident enough to rock Prince's "I Would Die 4 U." 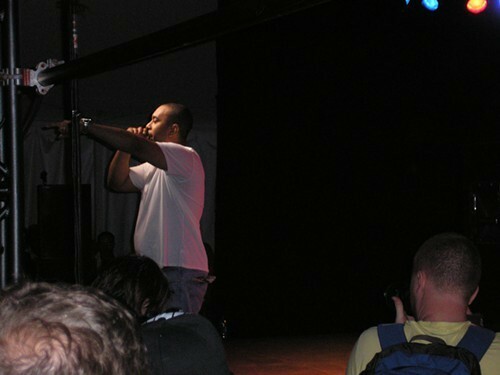 Muhammad's set was like a lesson in hip hop history for both newbies and old fans of the genre. He bridged a sonic gap through time, darting from tracks by current artists like Common to early 90s favourites like Public Enemy and Gang Starr to the kinds of 70s soul tunes hip hop artists love to sample. Mostly, though, it was just plain fun, and fun to see from a guy whose contributions to Tribe were often overlooked. 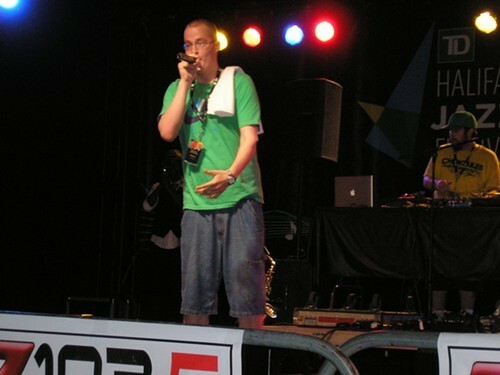 But it was a hard act for De La to follow, made harder by a special appearance afterward from MC Juju of the Beatnuts, who took the mic for three tracks. Meanwhile, local favourites The Extremities, who set the mood for the night with a solid opening set, got to share the bill with some of their childhood heroes. "It's funny that Ali Shaheed Muhammad is playing, too, because Tribe and De La were two groups that really changed the way I listened to hip hop," said Ambition, shortly before stepping onstage as a guest of The Extremities. "De La Soul is impeccable." And The Extremities, in the openers' slot, handled the challenge of playing in daylight to a smaller crowd with aplomb. With Fresh Kills and Uncle Fester laying down jazzy beats and Toronto crew Magnolias, as well as Ambition, pitching in vocal duties, the set fit neatly with the night's old-school vibe. And while some might disagree, it also fit with the Jazz Fest vibe. 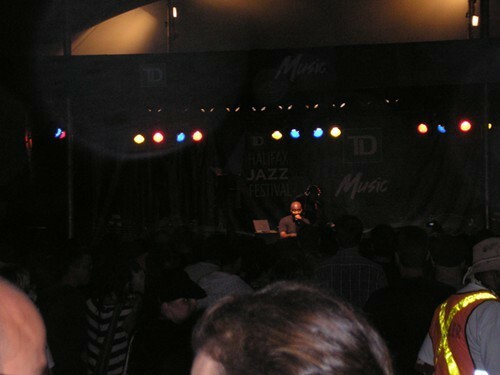 Tim Crofts, who manned the keys for The Extremities' set, noted that jazz is a wide-ranging genre defined primarily by improvisation. "To me, as long as there's that improvisational element, it fits," he said before the show. With The Extremities mixing DJ beats with live instrumentation, Ali Shaheed Muhammad reading and responding to the crowd through his extended set and De La Soul cobbling together a decent show minus a member, there was plenty of improvisation to go around on Night One of the Jazz Fest.